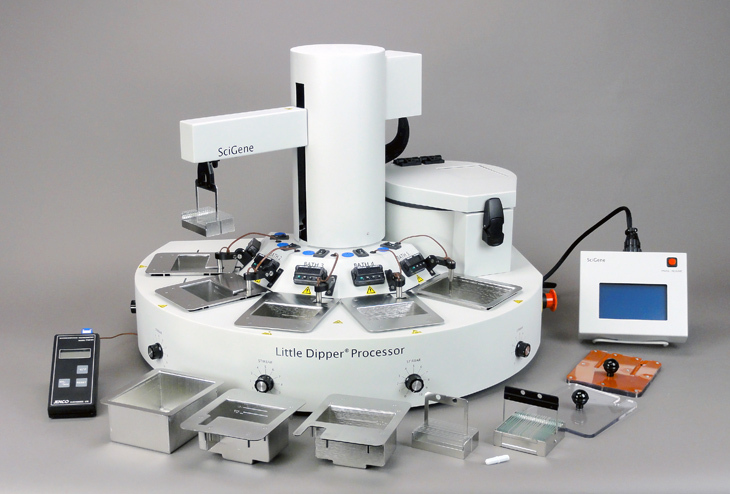 A SciGene Little Dipper Microarray Processor is a programmable, robotic instrument that automates the various hybridization processing steps used with FISH and G-Banding samples. The Little Dipper instrument improves data quality by eliminating sample handling and by controlling wash buffer/reagent temperatures and times, agitation rates and centrifuge/drying conditions. 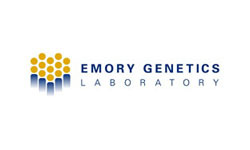 Each system arrives configured for your platform and programmed with recommended protocols.